The first time I saw Poochie was at a sleepover. The girl's mom had rented it at the video store and thought we might like it. She was right! 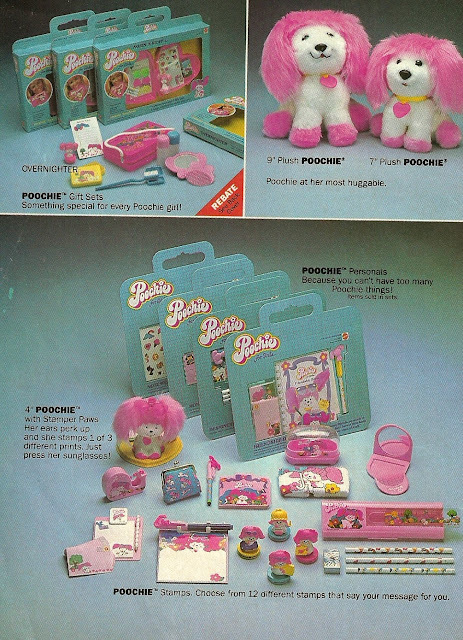 I loved Poochie and all of the little stationary and stamper sets. I had the stamper toy that was shaped like her, and you pushed down on her sunglasses to stamp on your paper. I watched it recently, and it is a super cheesy Japanese animation cartoon. I guess that's why I really only remembered the toys. They are WAY better than the cartoon!